This isn’t going to be just running, it’s my life, it’s how it runs -smoothly or not! If you’ve known me long, you know I wasn’t always a runner. It’s been 10 months and I’ve never looked back. Here’s my journey, it’s not perfect but it’s me. At age 34, I was 40 or so pounds overweight and I’m not quite sure why but I finally decided that was enough. I had high cholesterol and my liver levels were not in the normal range. Who knew being over weight could affect your liver? Well, it can. I did get my liver levels in the normal range, still need to get that Cholesterol checked again! I started walking June 2011 and I walked 4 miles 6 days a week all summer and into September. One day I thought I’d try to run, I made it 1/2 mile and I thought my lungs were going to explode! I kept trying and I would run 1/2 mile, walk 1/2 mile and so on. A friend talked me into signing up for a 5k on Thanksgiving Day that year, so now it’s getting serious. I did that 5k and I was hooked! I decided to sign up for the Cowtown 10k which was February 25, 2012 and my training began. I didn’t follow any specific training schedule, I just ran, each time increasing my mileage just a little bit. 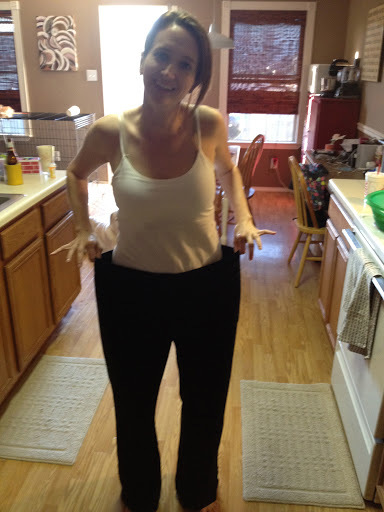 By the time February hit I was at 7 miles and I had lost 42 pounds. More on the races to come later. Hope you enjoy reading this! 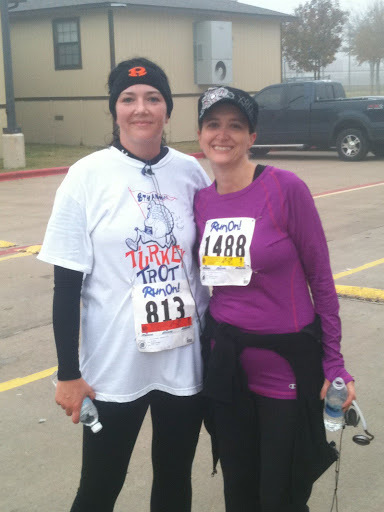 Here’s the Sachse High School Turkey Trot photo, Thanksgiving Day 2011. 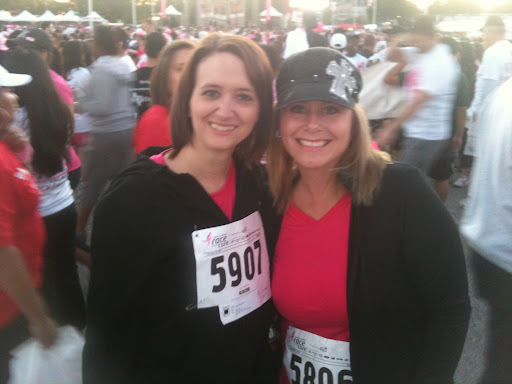 This is the Komen Race for Cure, October 2011. My first 5k walk!